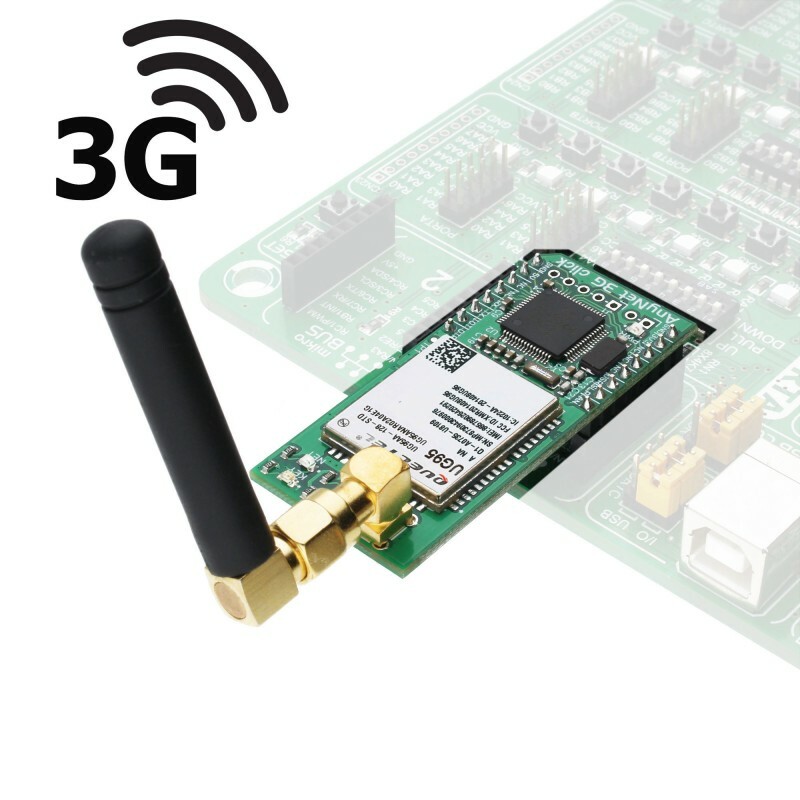 AnyNet 3G-AA click is a cellular to AWS gateway device, which provides developers with the complete solution for various IoT applications, by using the AWS IoT and Cloud Storage services for the data storage, analyzing and processing. AnyNet click board™ provides a secure connection with the AWS over the air (OTA), by utilizing the Quectel UG95-AA 3G module, offering UMTS/HSPA coverage for the North American region, Eseye ES4623 embedded SIM card, that can work with all the major cellular operators within the NA region. The AnyNet 3G click can be used as an AWS IoT button with almost no configuration. 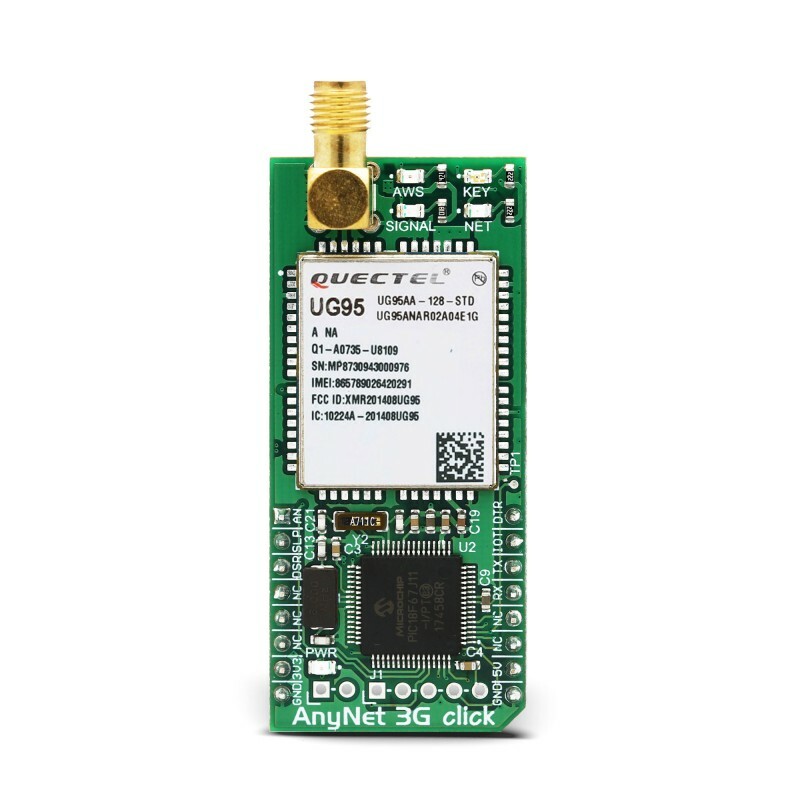 AnyNet 3G-AA click comes supplied with the start-up package - free activation through the AWS, unique ID number of the embedded SIM card and six-month cellular connectivity services of up to 5000 messages to the AWS cloud. With the AnyNet 3G click, users get the unique level of integration with the AWS IoT services. 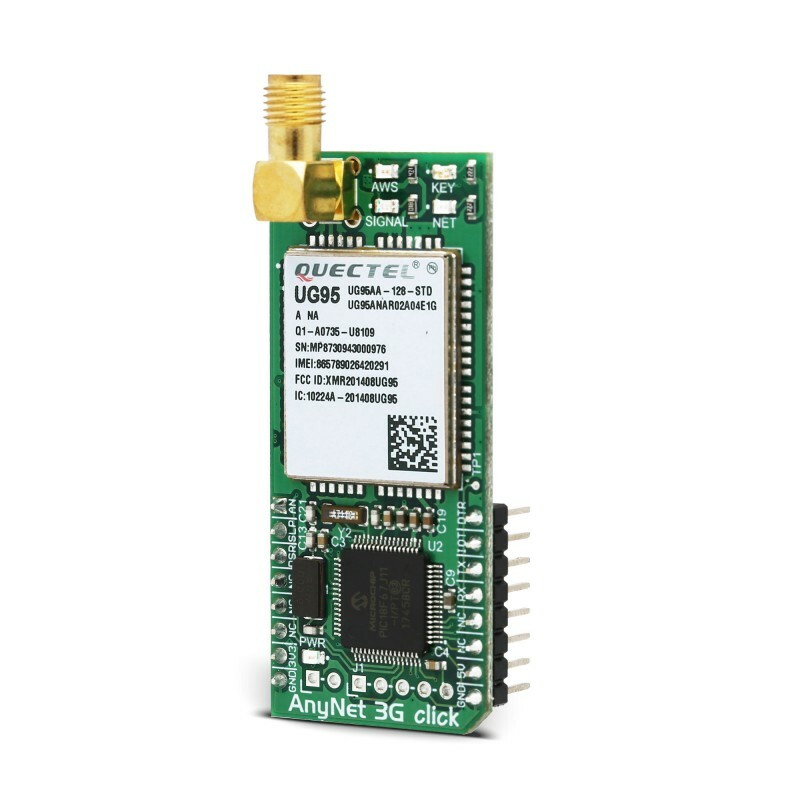 The cellular connection is established through the Quectel UG95-AA 3G module, offering UMTS/HSPA coverage for the North America region, and the embedded sim card by Eseye company used to communicate with the AWS. 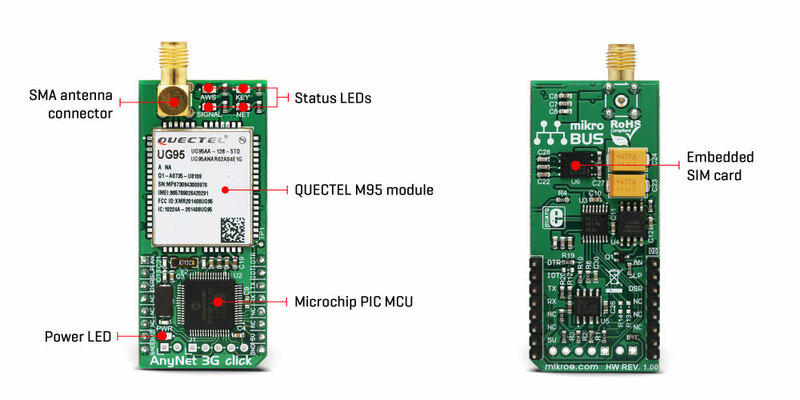 The additional onboard Microchip MCU contains the firmware used to interface the UG95-AA module to UART, providing users with easy to use end-point AT commands. UART communication speed is set to 9600 bps. 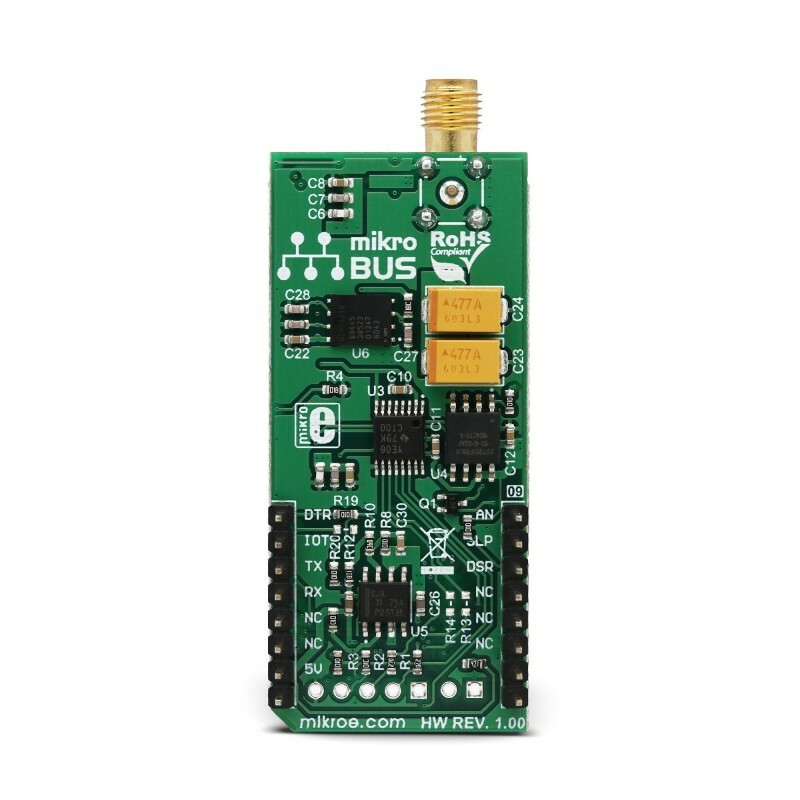 To initiate the communication, several simple AT command strings should be transmitted to the UART pins of the click board. All the information about how to use AT commands can be found in the AT commands reference. Connects development projects through the 3G cellular networks in the North America region and securely sends data to the AWS account.